Google Cloud Print. A networkable printer at home also accepts print jobs from the Android smartphone. But how does the setup work for multiple Google Accounts in a family or shared flat? The smartphones, tablets and convertibles are increasingly used at home and in the office for serious work and in many cases make the classic PC or laptop superfluous. But the devices have a problem: because they do not have a regular USB interface, users can only output their own documents, pictures, or attachments received via email by a circuitous route to a printer. That is why cloud-based printing services have been available for many years from operating system providers and well-known printer manufacturers. A prerequisite for this is a network-capable printer that supports the corresponding cloud print service. The standard service used on Android and Chrome OS and existing since 2010 is called Google Cloud Print. 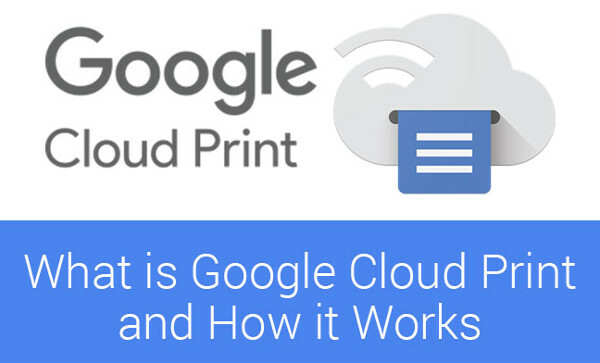 We briefly explain how the Google Cloud Print setup works if only one printer is available, but several people or multiple devices with different Google accounts are to access it. 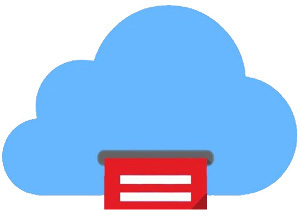 Google Cloud Print with multiple accounts The key requirement is: The printer must have a wireless LAN interface and be Google Cloud Print certified. From the documentation, the user learns how the initial link with a Google Account comes about. For example, HP has a menu item for Google Cloud Print in its printer software for its LaserJet printers. When you open it, the LaserJet printer prints a sheet of paper with a special URL and a QR code, each valid for 15 minutes. Now the URL has to be typed into the browser, alternatively you scan the QR code with the smartphone camera. After that, the user must enter the account data of their own Google Account, then the printer will be paired with this Google Account. Some smartphones may require you to turn on Google Cloud Print when you finish the setup in the Android Settings menu under Printers. However, there are several users with Google accounts. Even with a single household, it may be necessary to register two Google accounts for smartphone and tablet, for example, when the tablet is used for public presentations. In this case, no private e-mails are to be retrieved from the smartphone account on the tablet. Once a household user has completed the pairing process described above between their Google Account and the printer, they must visit the google.com/cloudprint web page and log in to the browser . If you then click on "Printer" in the menu on the left, the paired printer should be displayed. Now this printer has to be marked, then the "Share" button can be clicked. In the now opened field, the administrator will enter the Google mail address of the co-users one after the other and click on "share" for each one. First of all, you can specify whether the co-user can only print or co-manage the cloud print account. Now, on their Android devices, co-users can enable Google Cloud Print in the Printers Preferences menu and see the shared printer. Google also sends confirmation emails to co-users with an activation link that allows them to accept the invitation. In a short test, however, we found out that print approval is activated immediately and can also be used. The confirmation mail arrived in our test until several hours after the release and was actually expendable. Google stores information about the job, such as job name, printer used, printer status, and your Google Account ID. This data is used to process your print jobs. In addition, a copy of each document sent to the printer is saved until the print job is completed. So we can make sure that your document is printed. Once the job is completed, the document will be deleted from our servers. The servers also track all requests sent by Google Cloud Print users. These are standard server logs that contain no personal information. Any document that you send to a printer will be kept strictly confidential. Google accesses the documents solely for the purpose of improving the printing process. You can view and edit your history from the Google Cloud Print dashboard. There you can also manage the printers. " Users should therefore for safety's sake refrain from printing documents containing sensitive data via a cloud service. Because even the administrator can see in the history of who printed which document with which name and document type and when. The document itself is not visible. An alternative is printing via "Wi-Fi Direct". Here, the document is sent from the mobile device via Wi-Fi direct connection to the printer and is therefore only in its own network on the road, but not on the Internet.